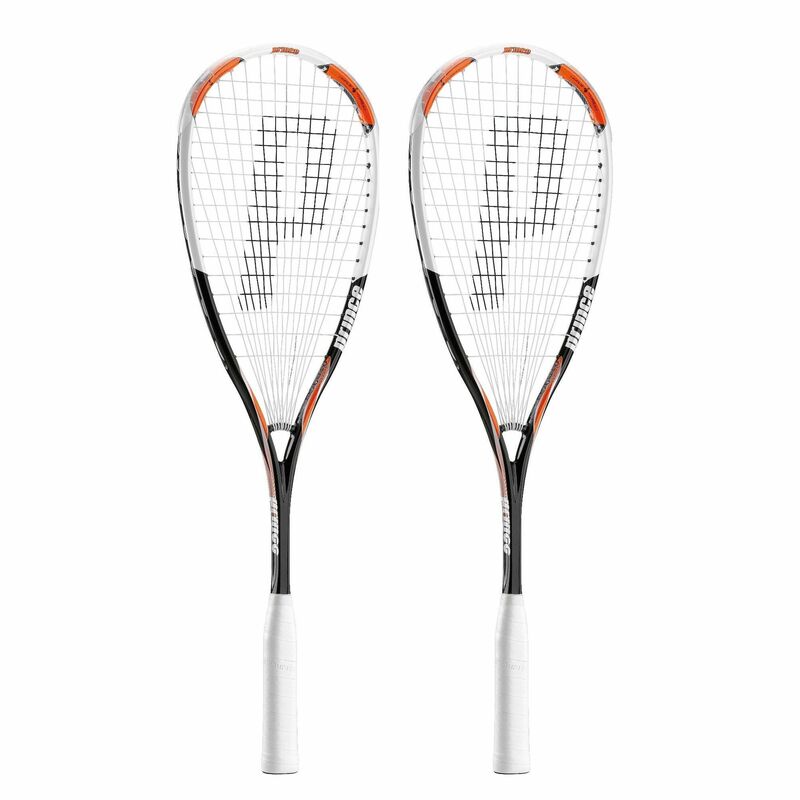 The Prince Airstick 140 Power squash racket double pack includes two lightweight (140g) squash rackets that utilise technologies which ensure more consistent response and maximise the rackets’ stability, manoeuvrability and durability. They also deliver full frame stiffness for maximum ball striking power. For more consistent response, all the strings are wrapped around one single ring at the bottom of the head resulting in longer and uniformed string lengths. The rackets also come with so called Air Handle - four air-filled quadrants which move independently for improved shock absorption and grip ventilation. Each Airstick 140 Power squash racket comes with 74.5 in2 (480 cm2) head and 16 x 17 string pattern. 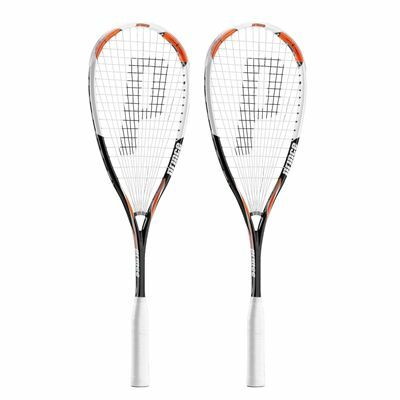 for submitting product review about Prince Airstick 140 Power Squash Racket Double Pack.